Before trying your hand at doing this, I highly suggest that you become trained first by a certified fiber optic trainer. As we know, fiber optic cable is the most modern way of connecting to high-speed internet as well as giving hi-tech connections for your appliances, such as televisions or telephones. Keep in mind that you can only install these cables at home if fiber optic cable is available in your place. To know this, you’ll have to contact your local phone provider. From the local box, get the cable and connect it to your house. Of course, you can’t DIY this process. What you need to do is to contact your phone company and an accredited fiber optic technician will do it for you. They will install the fiber optic cables to an optical network terminal located on the side of your house. It could also be placed in your garage. It’s from this place that you’ll connect the cables into your house for appliances and for your internet. It’s really good to have fiber optic cable in your home; but, you are required to have phones and a set top box to make them work. See to it that your phones are the latest models because fiber optic cable is not compatible with old ones. If they are dated models, you’ll need to purchase new phones that could jive with fiber optic cables. Also, always check if your set top box are made for fiber optic cable. If they are not compatible, call your cable provider for help. The next step you need to do is to run the cables from the optical network terminal into your home where you will connect it to your phone’s network box. My best advice is to hire a qualified phone engineer to do the dirty work for you. For fiber optic cable, you’ll need to have a connection from the optical network terminal to the coaxial network found in your home. Again, unless you’ve got the skills, you’d better leave the task to the pros. For your desktop, you are required to have an RJ-45 wall jack and install a battery back-up for it. First, attach the cable from the jack to the PC using an Ethernet cable to establish a good connection. 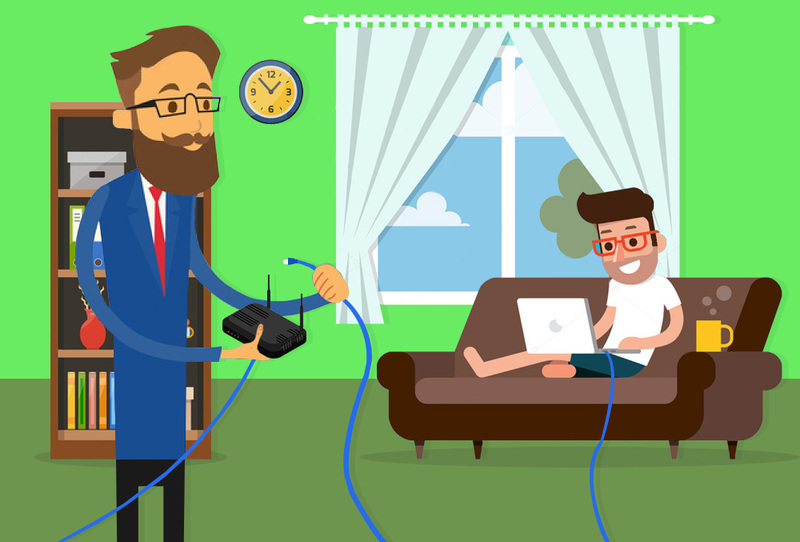 Test the connectivity and always check if your phone lines are already converted to fiber optic. This will allow you to access high-speed Internet properly. Once you are set, you will be able to upload and download way much faster. To connect your TV, you’ll need to connect the coaxial cable to the cable top box. From the box to your TV, you’ll have to use HD or S video cable. If you are using HDMI cable to connect to your TV, you won’t need to buy another audio cable. Turn on your TV and the cable box to check if your service is working fine.